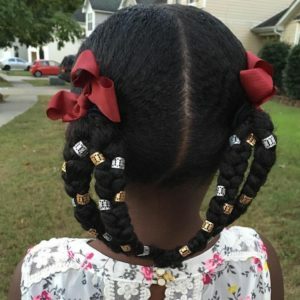 Finding the right braided hairstyles for black girls can be a challenge sometimes. 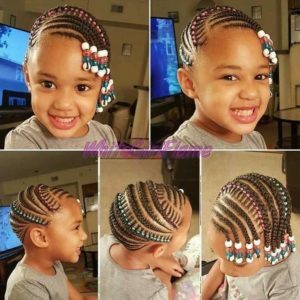 Braided hairstyles for kids have to be pretty, but not too tight or too heavy. 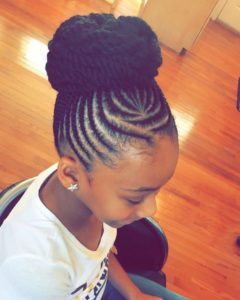 A good hair style should be a protective style, promoting healthy hair and comfort, rather than hair loss and discomfort. 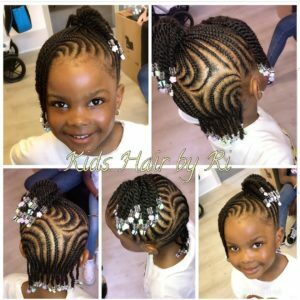 Therefore, it is important that mommies choose child-friendly hairstyles for little girls. 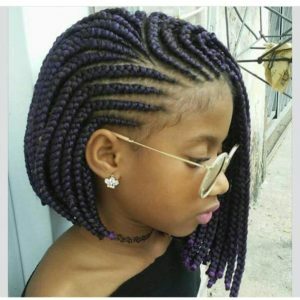 Braids are generally a good hairstyle option for girls because they last long and can be made into various versatile styles. 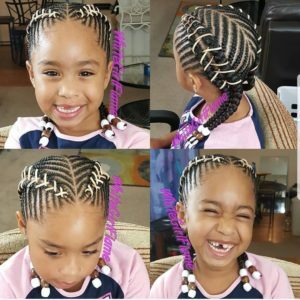 There are hundreds of braided hair styles out there. 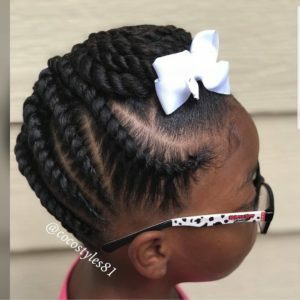 They can be classic, easy, creative, long, short, etc. 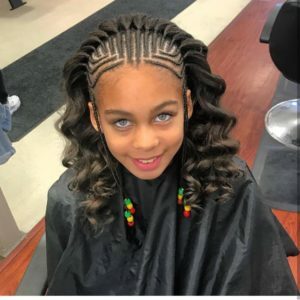 We’ve gathered a number of photos showing kids with beautiful braided hairstyles. 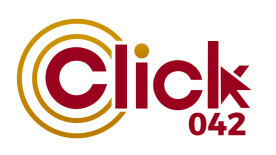 Scroll down to see them. 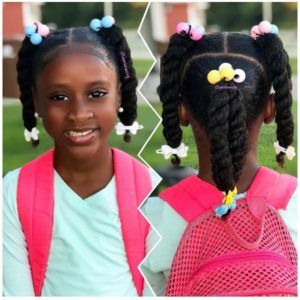 Quick and easy hairstyles come in handy sometimes, and they can be just as cute as the more elaborate hairstyles. 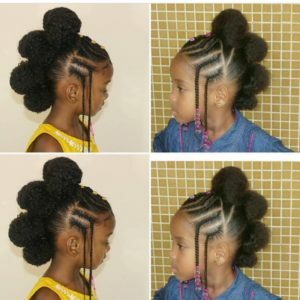 With some practice, any mom can learn to make these for her daughters. 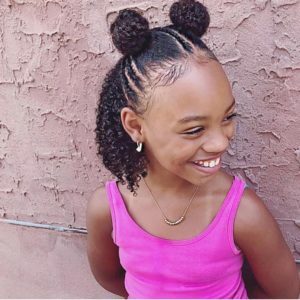 These hairstyles can save you some money and a trip to the natural hair salon. 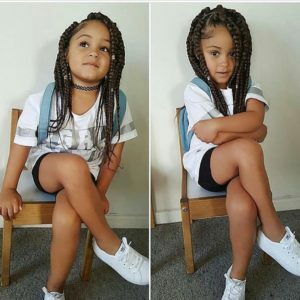 And your little angels will still look cute and happy. 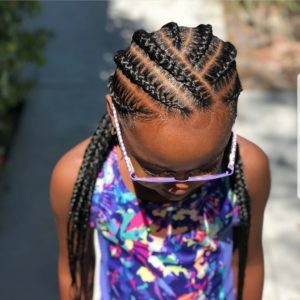 Here are some easy braided hairstyles to inspire you. 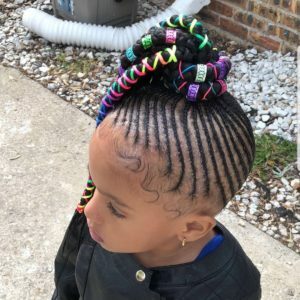 Sometimes you want something extra unique for your girls. 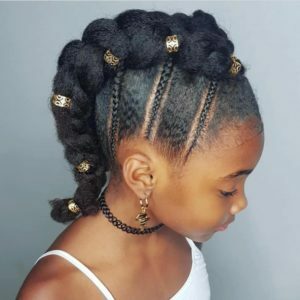 Here are some braided hairstyles for kids that you can use to make a statement, and set your little girl apart from the rest. 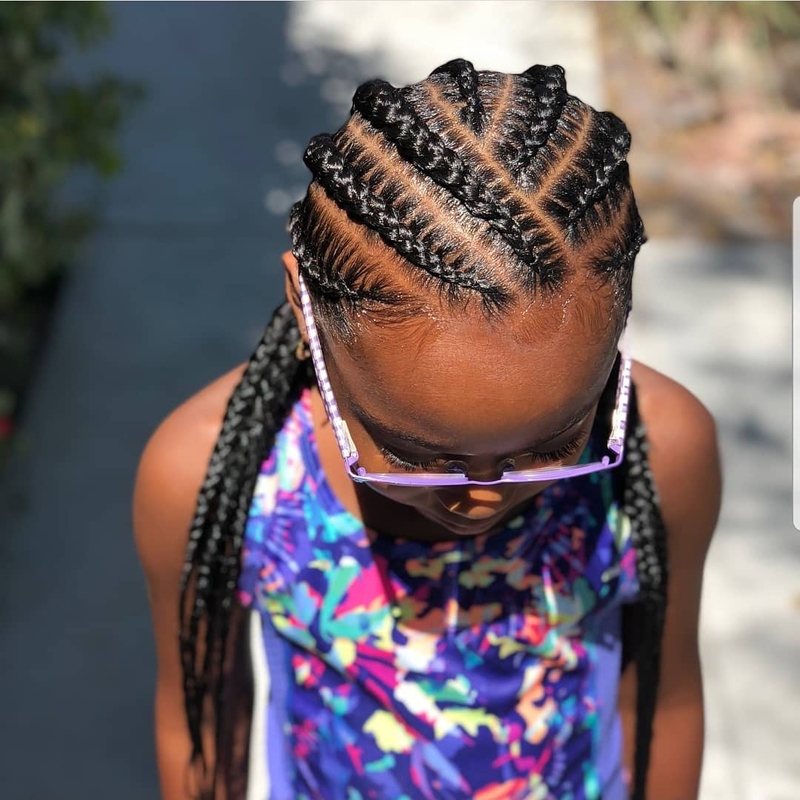 Keep it simple and classic with these styles that never go out of fashion. 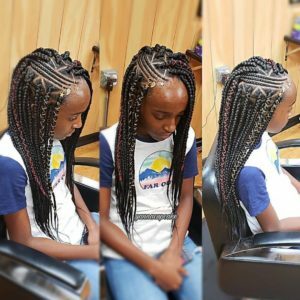 You can’t go wrong with box braids, stitch braids, bobs or twists. 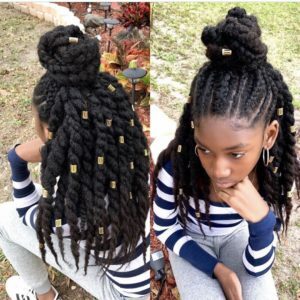 You can achieve almost any of these hairstyles with hair extensions. 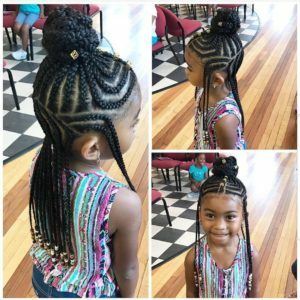 But if you’d still like to keep it short, here are some ideas for short braided hairstyles for kids. 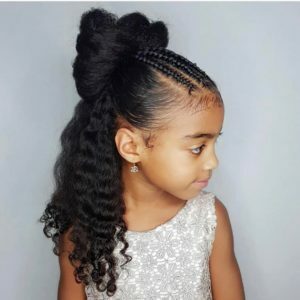 Buns have a playful beauty to them that makes them such a good hairstyle choice for little girls. 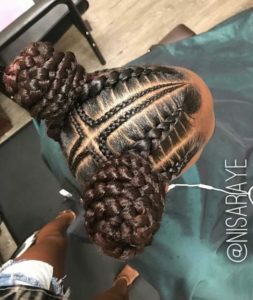 Braided buns are elaborate, pretty and last long. 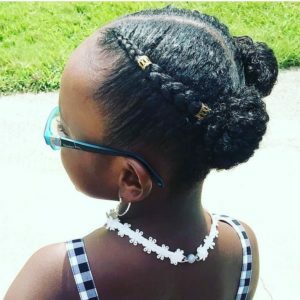 Here are some pictures of little black girls with stunning braids in buns. 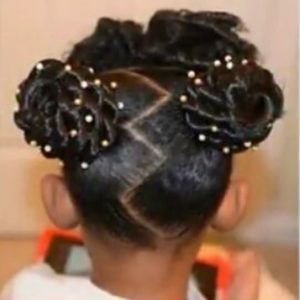 Mohawks, frohawks or bunhawks are always a good choice for a cute and edgy look. 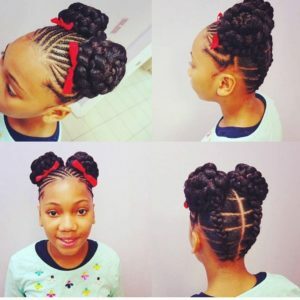 Combine with braids and you have an immediately stunning and creative look. 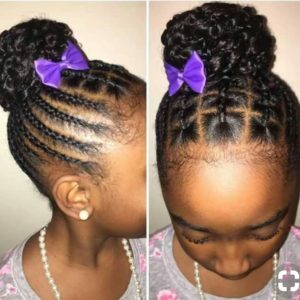 Here are some hairstyle ideas. 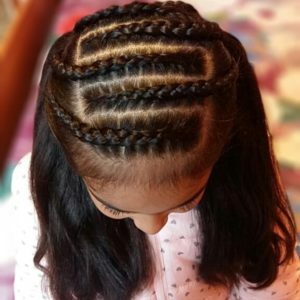 The half-up half-down look works in many different forms, including braids. It’s stylish and convenient. 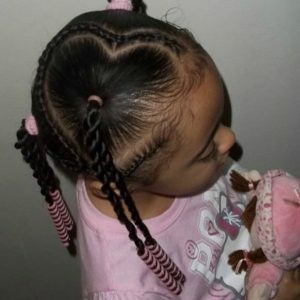 A perfect hairstyle choice for any little princess. 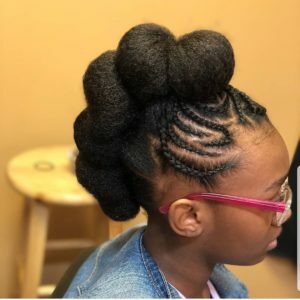 Check out these styles below. 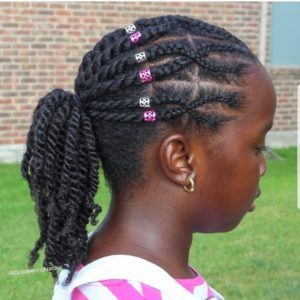 Braided twist hairstyles are easy and yummy to look at. 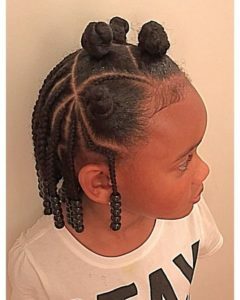 They are also very easy and stress-free to take down. 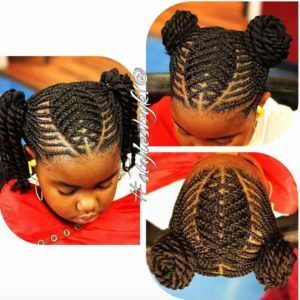 The fun thing about twists is that they can be unravelled to form a new style. 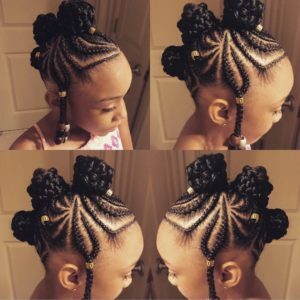 Check out these beautiful twist styles. 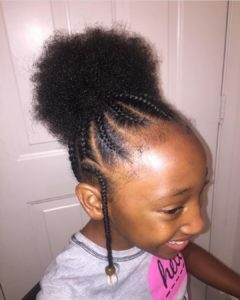 There are so many fantastic styles that can be done when your little girl’s natural hair is long enough to be braided without extensions. 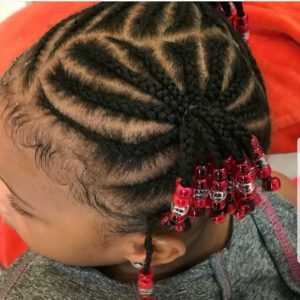 Braiding natural hair alone is easier and consumes less time than braiding with hair extensions. 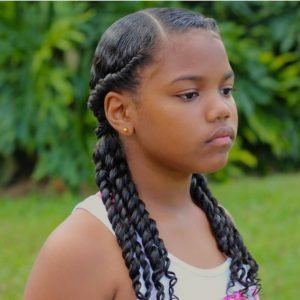 Here are some braid styles that can be done with just the natural hair. 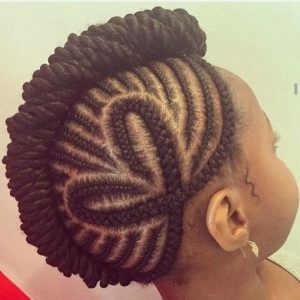 Updos are elegant and stress-free, as they keep hair away from the face. 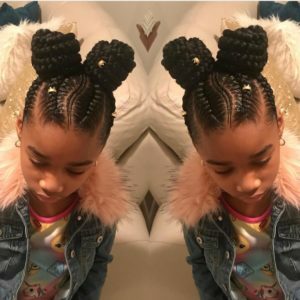 Your little girls will love these braided updo hairstyles as they can move about and play without having to tuck hair away from their eyes. 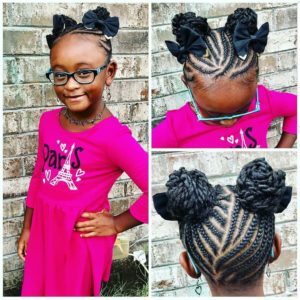 Check out these little angels with their braided updos. 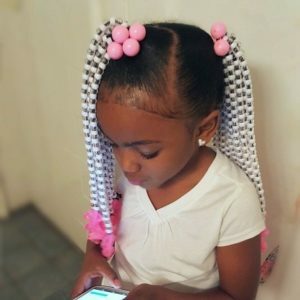 Braids with accessories have always been the trend for little girls. 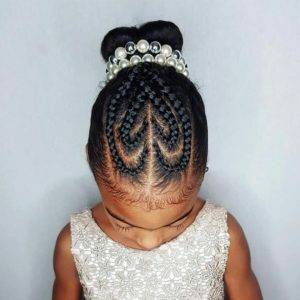 Beads, strings, metallics and other accessories always add a touch of fun and glam to any braided hairstyles for kids. 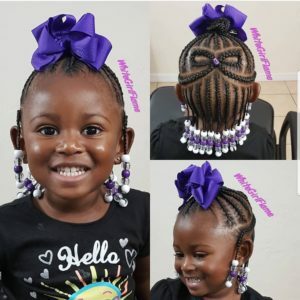 Wondering how to accessorize? 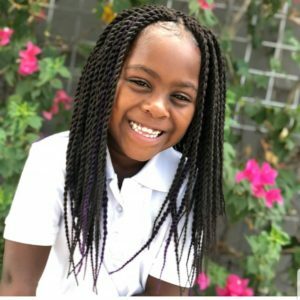 Check out these photos for inspiration. 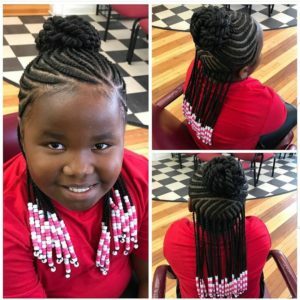 I hope this article has given you lots of ideas on braided hairstyles for kids. 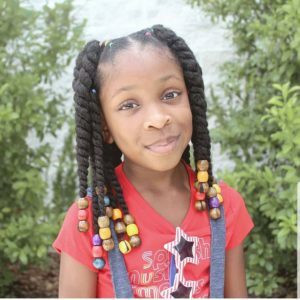 If you enjoyed this article, let us know in the comments and we will put up more like it.